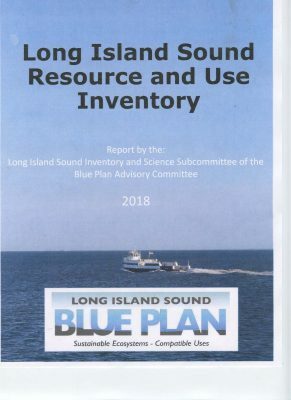 CT Sea Grant Director Sylvain De Guise announced on March 14 that the first draft of the Inventory of Natural Resources and Human Uses for the Long Island Sound Blue Plan has been completed. This document is the result of substantial effort by Blue Plan staff, but would have been impossible without the input of knowledgeable LIS stakeholders, De Guise said in a statement. To be successful, marine spatial planning processes such as the Blue Plan depend on the involvement of all water-dependent sectors, and the insights, questions, and factual data contributed by stakeholders shaped the construction and content of this Inventory, he said. Now that the preliminary version is completed, comments on any portion of the draft or the inventory in general are being sought. Anyone with additional materials they believe should be included is asked to provide access instructions with their comments. Please email any comments to: DEEP.BluePlanLIS@ct.gov. De Guise stressed that the stakeholders’ recommendations are essential to improving the inventory. Comments should be submitted by April 6, so that revisions can be made in time for the more formal public review process beginning in early May. While the deadline is needed to create a definite document to move forward with the Blue Plan process, the Inventory will not remain a static document, De Guise said. Even after the Blue Plan is officially adopted, there will be future opportunities to update it or add data periodically. The Inventory may be accessed here. This entry was posted in News and tagged 2018, Coastal Resources, Connecticut, Long Island Sound, Sea Grant.